Reminder - if you're interested in applying for our design team there are just a few days left! You can find the details in our side-bar here on the blog. Now before I announce the winners - let me take a minute and thank Simon Says Stamp for another chance to win a $50 voucher!! Simon is supporting some great things for our blog - can't wait to share more! I'd like to thank everyone who took part in the challenge. It is always a joy to see what you create. I'd also like to say thank you again to Simon Says Stamp for their generosity - each week we give away a $50 gift voucher to the shop that you can use to buy all kinds of fabulous stamps, inks, and paper crafting supplies. Hello everyone! 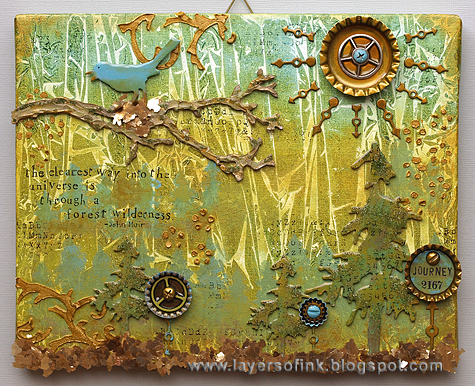 Anna-Karin here with a tutorial for a mixed media board, using this week's 'Into the Woods' challenge theme as inspiration. I am a real forest person and forests are my favourite natural setting, if I could, I would walk or cycle in a forest every day. I wanted to do a board for my study which celebrates the beauty of forests, so that I can look up from my desk and find myself among the trees in a forest. I used a fun technique with plastic wrap and Distress Paints for the background, which gives awesome texture. I am also going to show some other techniques you can use to add texture to a project. It is a long tutorial, so let's start. I used a mixed media board (8 x 10 in), but you could use watercolour paper or a canvas too, just place a book under the centre as support. 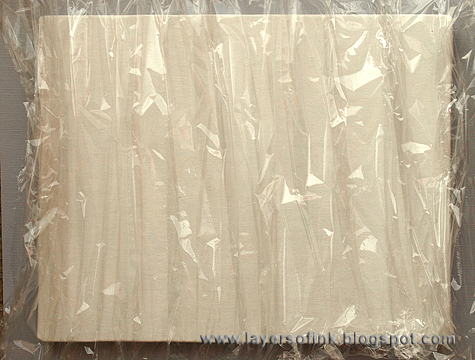 Start by preparing a fairly large piece of plastic wrap by pulling it to form pleats or lines. Because of the forest theme, I wanted lines rather than completely random texture. You want to have this ready before the next step. On a palette (I like to recycle plastic packaging for this), pour out a little pool of Peeled Paint and Salty Ocean Distress Paint, and a little bit of Adirondack Lettuce, or another lighter shade of green Distress Paint. You could add some yellow too if you want to. Add quite a lot of water to each pool of paint, you want the paint to be watery for the technique to work well. I used a Ranger Pipette to add the water, because it gives great control. Working quickly, start painting the green paints on the lower two-thirds of the board, using a paint brush. Dab the brush on a paper towel, but don't clean it, and quickly paint Salty Ocean at the top. The green that remains in the paint brush mixes with the blue to create a really nice colour and it also makes the colours blend better. Add a bit of blue paint here and there into the green too. Immediately place the plastic wrap on top. If the paint has already started to dry, the technique won't work, so you got to be quick. Place a book on top and leave to dry completely. Don't peek! Check at a corner, if it isn't dry yet, leave it. If you remove the plastic wrap before the paint is dry, you don't get the same texture. This is the hard part, I am always tempted to peek. When the paint is dry, you will have this gorgeous texture. It will be different every time and I like techniques that give unpredictable results, since you never know what you are going to get. This technique works really well with Distress Paint, since they are pretty fluid. Here are a few other examples. On the paper to the top left, I didn't add enough water to the paint, so they haven't blended nicely and there isn't a lot of texture since the paint had already started to dry before the plastic wrap was placed on top. 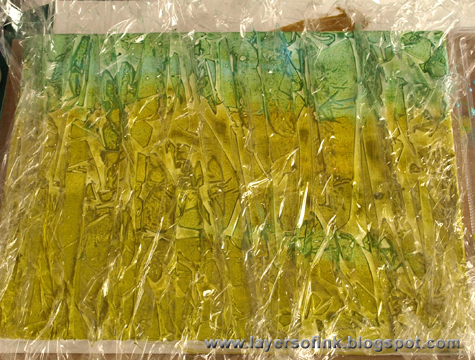 On the paper to the top right, I wrinkled the plastic wrap a lot, creating a finer texture. On the paper at the bottom, I wrinkled the plastic wrap into a ball, unfolded it and placed on the paper, creating a different type of texture. 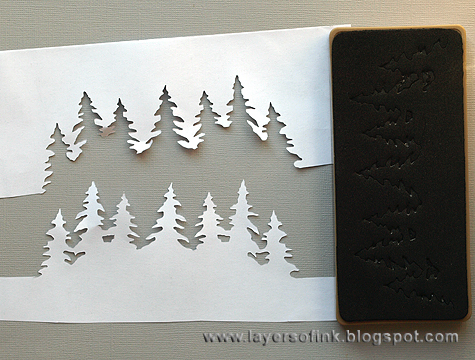 I wanted to add some trees to the background and die cut the Tree Line from Eclipse Tape, to create my own stencil/mask. 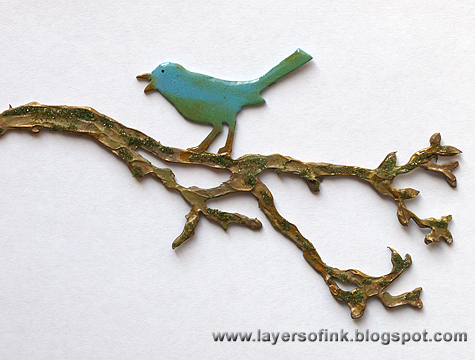 To see more ideas of how to use your dies to make your own stencils, check out this tutorial of mine. Eclipse tape works great for this since it is self-adhesive and repositionable, but you could also use printer paper or a piece of acetate. Place your stencil on the board where you would like to add some trees. Mix Peeled Paint, Salty Ocean and a little bit of Walnut Stain Distress Paint, or use a colour such as Forest Moss. 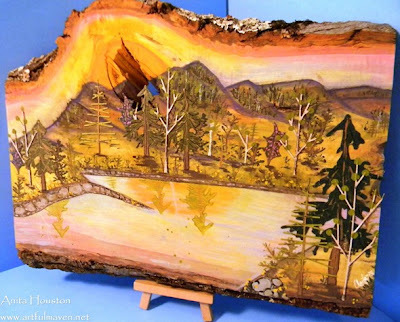 Paint your trees. Continue to add more trees. 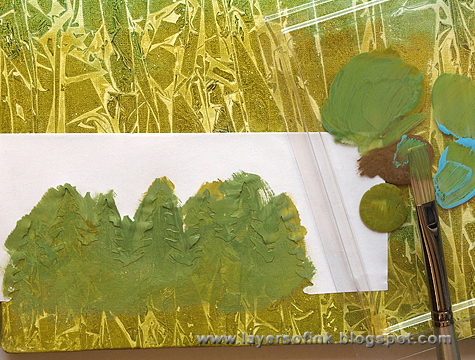 When the paint is dry, you can add more texture by dry-brushing a little paint on the trees. I did a full row at the base, and added some trees further into the board too. 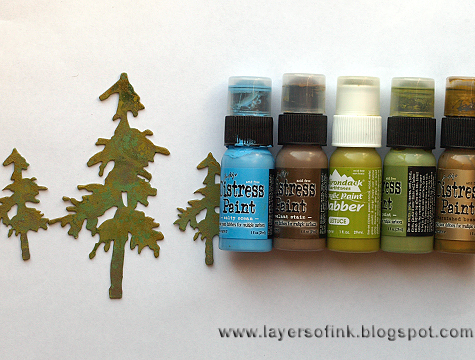 I liked how they blended in with the background, if you want your trees to stand out more, use a darker green colour. I love texture, and wanted to use stencils and paste too. 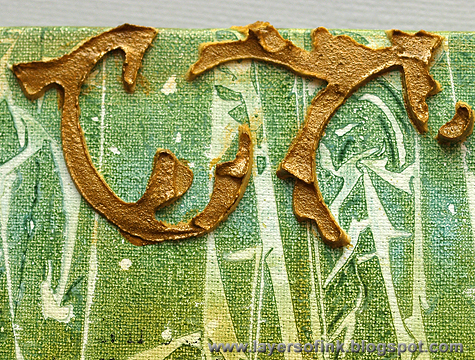 Since I did not yet have Wendy Vecchi's Metallic Gold Embossing Paste when I made this, I mixed a little bit of Tarnished Brass into white paste. You don't want to add too much, because then the paste will be too fluid. 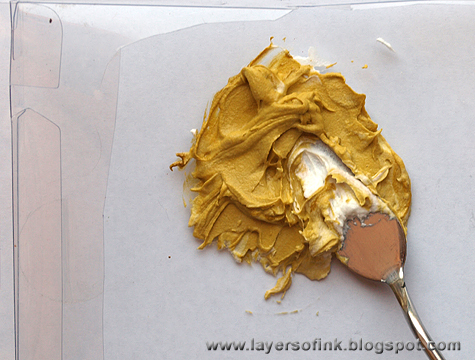 If you have the gold embossing paste, use that instead, it is a fabulous golden paste. I made my own stencil with the Mini Flourish die and clear packaging and used a Prima Flower stencil for the little dot flowers. 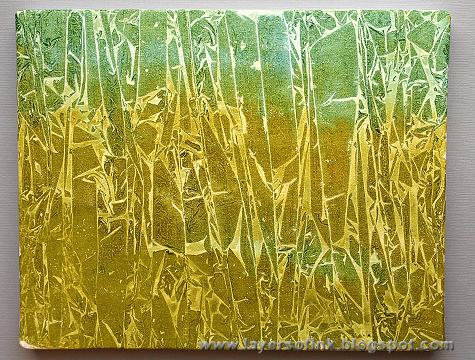 Apply the paste through the stencil with a palette knife or an old plastic card. Leave to dry, when dry, I painted more Tarnished Brass on top of the paste. If you use the Metallic Gold Paste instead, you can skip this step. I also added some stamping with Archival Jet Black ink, using one of my favourite background stamps, from Tim Holtz School Desk set. 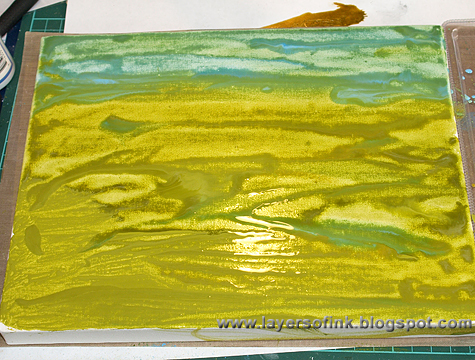 I held it in my hand instead of mounting on an acrylic block for a random impression. I also painted some Tarnished Brass around the edges of the board. Here's a close-up of one of the flourishes. 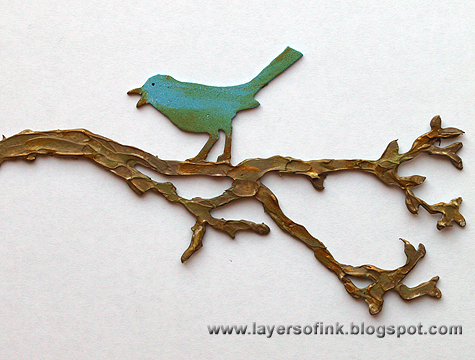 The board needed some life too, so I die cut the Sizzix Bird Branch from grungeboard and applied paste to the branches, using a palette knife. This gives great texture, and this project is all about texture. When the paste is dry, paint the branch with Walnut Stain and Peeled Paint, adding highlights with Tarnished Brass. Paint the bird with Salty Ocean and Peeled Paint. I wanted some moss on the branch and colorized Rock Candy dry glitter with alcohol inks (Lettuce, Meadow, Pesto). 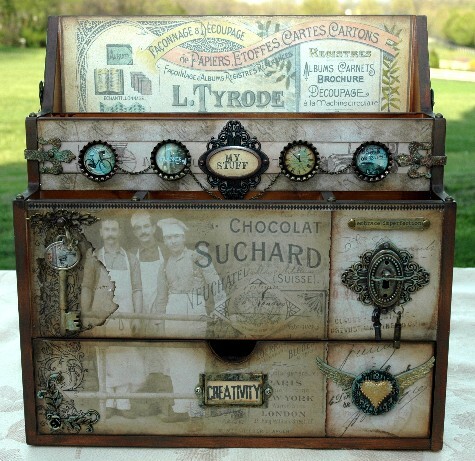 Tim Holtz shared how to do this last year, check out his post here. Apply Glossy Accents here and there on the branches and sprinkle glitter on top. Coat the bird with Glossy Accents too. Die cut one large and two small pine trees from grungeboard and paint them with a mix of Peeled Paint, Salty Ocean, Walnut Stain and Lettuce. 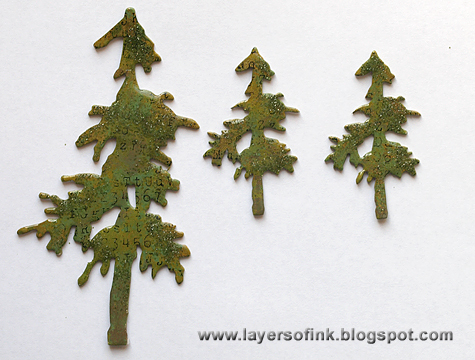 Dry-brush some of the darker colours on the trees after the paint has dried and add highlights with Tarnished Brass. Stamp the trees with the same background stamp used on the background, aiming for a random impression. Coat the trees with Glossy Accents and sprinkle just a little bit of the colorized glitter here and there. 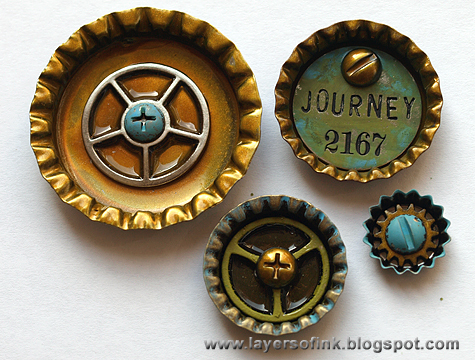 I wanted some metal embellishments and liked the idea of using Prima's Bottle Caps, of transforming something that doesn't belong in nature, but often end up there because people throw bottle caps everywhere, into something warm and beautiful. 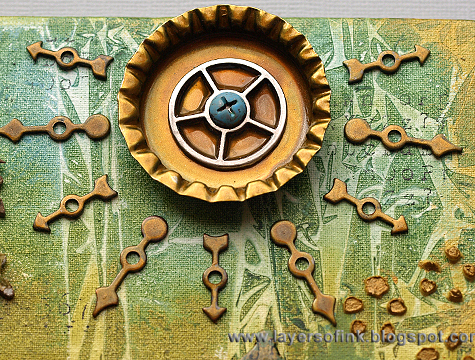 I also used a bunch of Tim Holtz Idea-ology pieces: Game Spinners, Sprocket Gears, and a Philosophy tag. The little screw heads come from Prima. Most of the pieces were painted with Distress Paints which work fabulously on metal, smear some on your craft sheet and apply to the pieces with your finger. 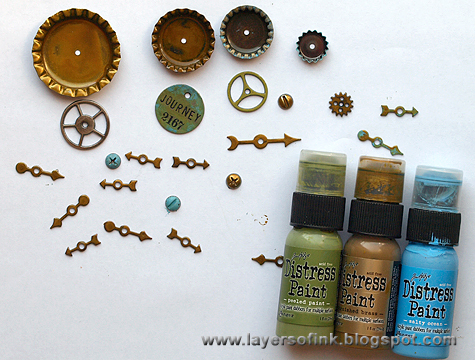 Two bottle caps were painted with Tarnished Brass and the other two with just a bit of Salty Ocean. Most of the game spinners were painted with Tarnished Brass, except for two which were painted with Peeled Paint and Salty Ocean. The screw heads were painted in different colours. The Philosophy Tag was painted with Peeled Paint and Salty Ocean and Black Soot was rubbed into the letters. Here comes a fun part, embellishing the bottle caps. I made the large one into the life-giving sun, and the smaller three into trees. 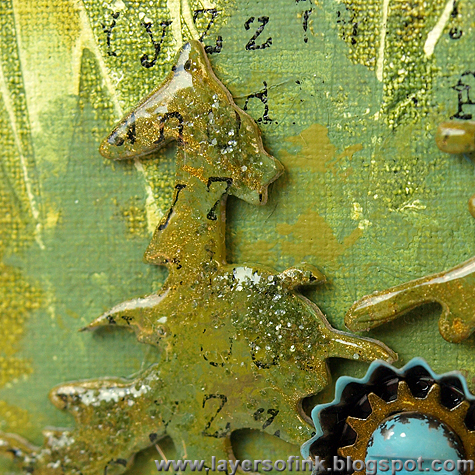 Glue the pieces down with Glossy Accents and add Glossy Accents inside the gears. Time to assemble everything. Glue the trees and bottle caps to the board with Glossy Accents or hot glue. I used Game Spinners as trunks for the bottle cap trees. The trees needed a forest floor to grow from and Stampendous Gilded Mica Fragments were the perfect solution, with a beautiful natural shimmer. I applied Glossy Accents all along the base of the board and sprinkled mica flakes on top, pressing them down carefully with a piece of scrap paper. Here's the third tree and bottle cap tree. 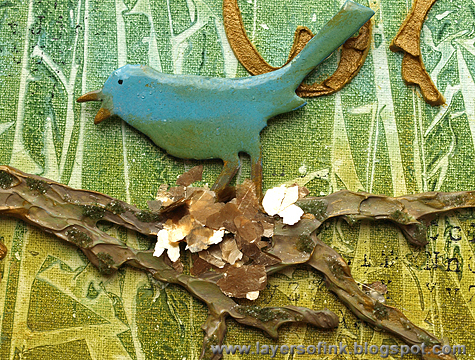 I made a little nest for the bird with mica flakes too. The sun and all the rays were glued down with Glossy Accents. Love how this turned out. 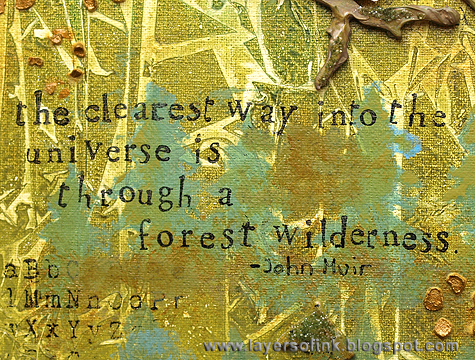 I am fond of using quotes and there are quite a few beautiful quotes about forests by John Muir. I really love this one and I am happy to have it displayed on my wall now. It was stamped with Hero Arts alphabet stamps. There was some background stamping very close to the quote and I simply painted over it so that it wouldn't compete for attention. Thank you for looking at this tutorial! I hope you enjoyed it, and don't forget to join us this week in the 'Into the Woods' challenge, for your chance to win a $50 gift voucher from Simon Says Stamp. Whether you’re a rugged lumberjack or out for a casual stroll in the woods, are inspired by adorable woodland creatures or want the chance to play with wood grain products this week we invite you to join us on a creative walk into the woods. Create something inspired by a mountain wildflower meadow, in a forest friendly color palette, or perhaps something whimsical with fairies or wood sprites! 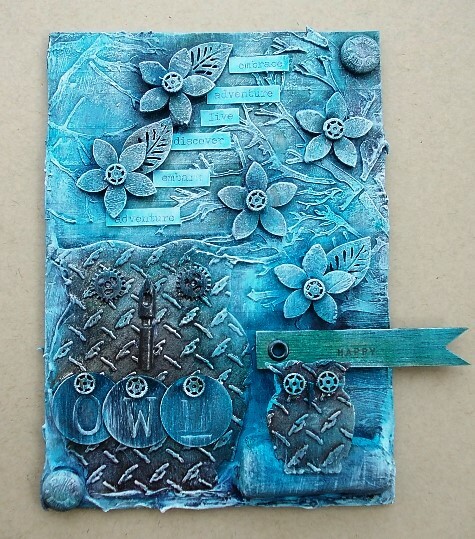 There is a lot of room for creative interpretation this week from using a wood grain patterned paper to an owl stamp and anything in between - have fun! When Anita saw the word "wood" in the challenge for this week she took it very literally in more ways than one. I loved the theme for this challenge! Not only do I love working with wood, but I am from the woods of southern New Mexico. I decided to make something to give to my parents, and I thought it would be great to paint a mountain scene on a slab of raw wood. 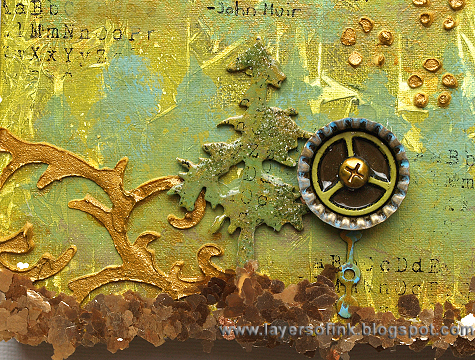 I used nothing but Ranger Tim Holtz Distress Paints, and several die cuts including three from our very own Simon Says Stamp...the Mod Tree, Small Forest Tree, and Tall Forest Tree. Ever since we took our first trip to Driftwood Beach, it has always held a special place in my family's heart. This week's theme was the perfect reason to scrap about how much we love this magical piece of land! To get started, I simply grabbed some of my favorite wood themed products from Alison Kreft's collection with Webster's Pages. To add to the rustic feel of my page, I played a bit with some Martha Stewart Raffia and hand stitching. I just love the texture this adds. A Heidi Swapp Color Pop Tag provides my title and a couple of Brads from My Mind's Eye finish off this layout of our favorite spot. 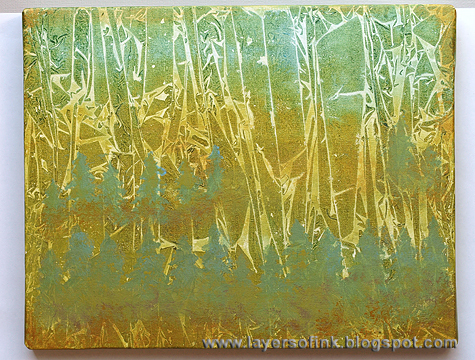 Dan's favourite musical is "Into the Woods" and it's the inspiration for his tag diptych. I was excited when I saw this week's theme, I love the show "Into the Woods" so I sat down and watched it again for inspiration. 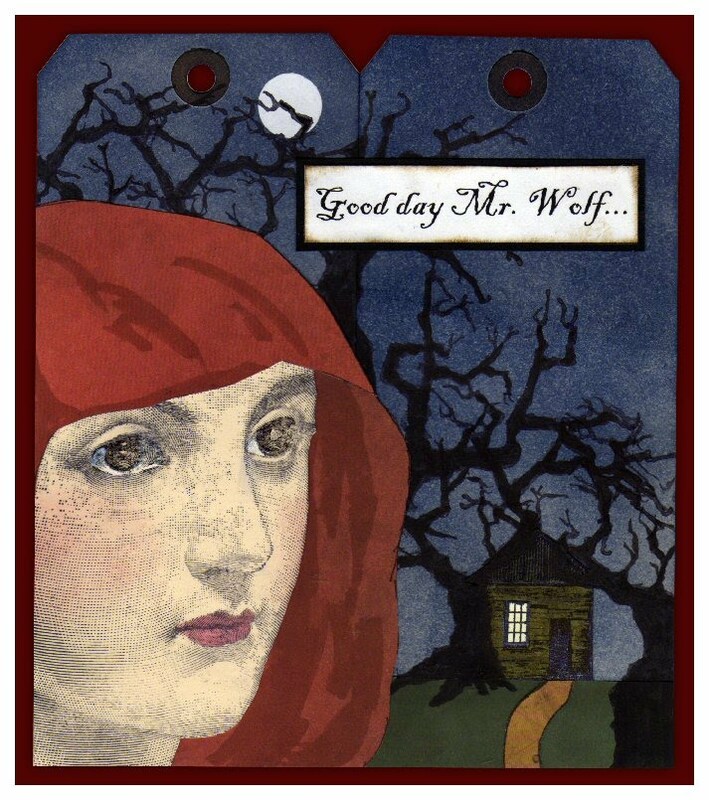 If there is any fairy tale character that is synonymous with "woods" it has to be Red Riding Hood so my subject this week was a no-brainer. I planned at first just to make a single tag but the face stamp was so large it really needed to be a double-tag spread to make the composition work. I used the Winter Sketchbook, Home Sweet Home and Classics #5 stamp sets. The hood came from the Lost and Found paper stash. Suzz loves the grain on the wood texture paper and decided to use it as the background on her project this week. Into the Woods made me think of wood texture paper. I had sitting on my desk the lovely new metallic distress inks, Stampers Anonymous - Best Friends and Pink Paislee - Hope Chest. I decided to paint the wood texture with the bronze distress paint. I then used the sweet image stamped with black ink and heat embossed with black embossing powder to make it really pop. The muslin is tied through three holes to use this as a journal cover. A perfect cover for a mini-album or journal for a child. 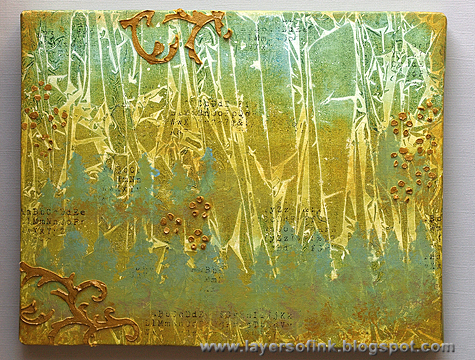 Tracy was inspired to use wood products, woodland branches and an owl in her nature inspired canvas. 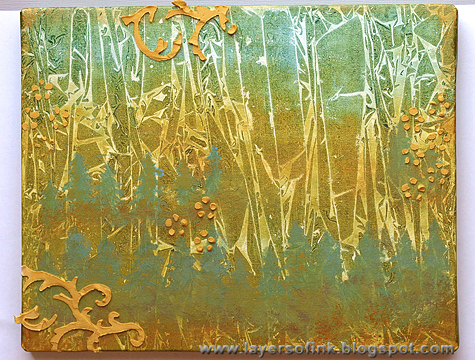 branches and mine were given fabulous texture using Wendy Vecchi's White Embossing Paste through the stencil. Lots of wood products included here, from Prima Wood Leaves and Flowers, Prima Nature Garden Wood Tickets, and even an owl cut from Metal Foil Tape. Trace challenged her self to make a "girly" wood grain card. 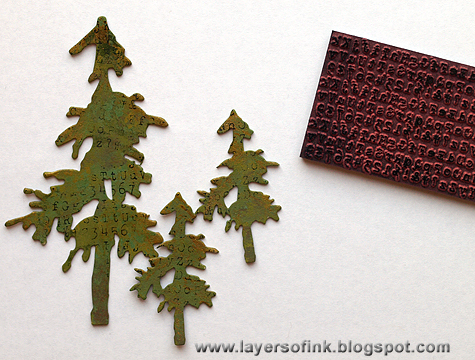 To make this card I went hunting in my craft room and found some awesome wood grain stamps. 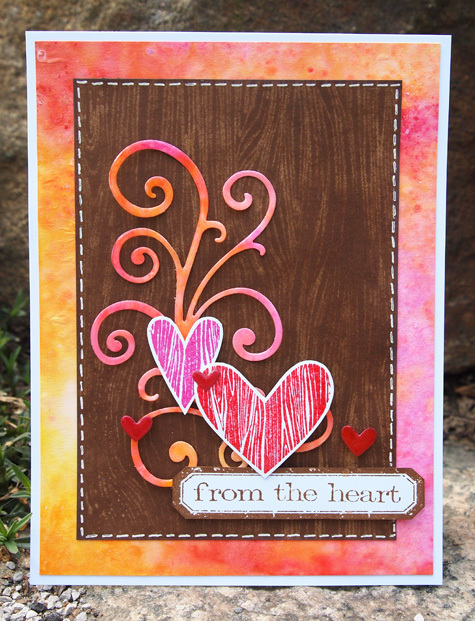 I have used this Hero Arts Designer Wood grain stamp for many manly cards before, but now I needed to "girly" it up! Simon Says Stamp Lots of Hearts clear set with it matching Large Hearts die set was the perfect compliment, especially stamped in Tim Holtz Distress inks in colours- Picked Raspberry and Barn Door. I found this Die-namics Fancy Flourish die cut out in the same home made paper as the background provided an anchor for the hearts, and added just a wee bit more femininity to the card. Challenge met! I make my own bags for a few years now. Ever since I learned to sew. My favorite bag was all worn, so it was time to make a new one. And this time I wanted to do something different and make it sort of card/canvas like. So I cut out a piece of natural canvas and started stamping with all my favorite Tim Holtz Paris stamps, such as Papilon, Paris Memiors, French Market and more. Then my favorite wooden embellishes, the Stars and the Speech Bubbles, came into play. I've covered them with Glue 'n Seal so they are protected from the rain and the Label Letters will stay in place. Candy took a different approach to this week's challenge by using her favorite Tim Holtz paper stash release, French Industrial, to completely transform this plain white wooden craft organizer. Thanks to an Espresso Paint Dabber and several Tim Holtz products, this plain white wooden organizer went from ho hum to WOW. Just covering the wood with Tim's new French Industrial Paper Stash could have been enough. But all of the metal elements really added some cool dimension and detail. Speaking of detail, I used Tim's Detailer Water Brush and various Distress Ink colors to add color to the vintage ads on the top portion. The stacked Ornate Plate, Keyhole and Clock Key holding the dangling smaller Locket Keys make a great dimensional embellishment. On the opposite side, a simple Collage Key and Fleur De Lis hang next to those three dashing Frenchmen. 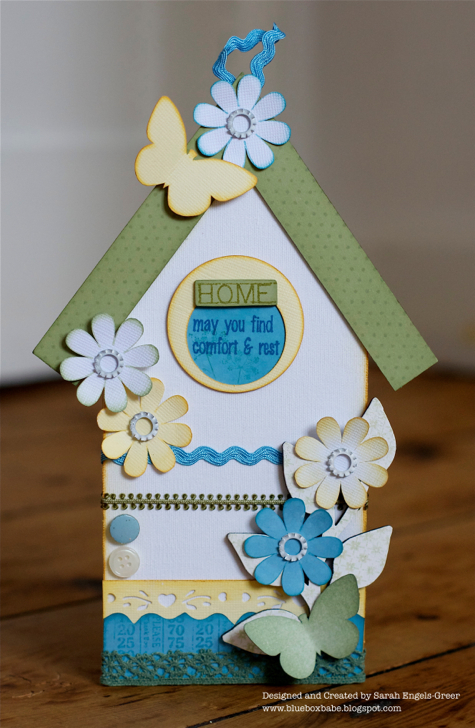 Anna-Karin will be sharing her project and a tutorial later this week. 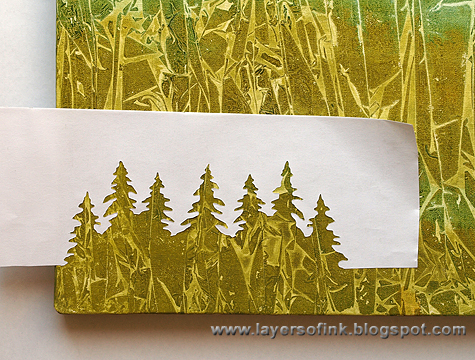 I love forests and will share a step-by-step tutorial on Wednesday here on Simon Says Stamp & Show. The tutorial is full of fun techniques that you can use to create texture on your projects. As always, Simon Says Stamp is giving away a $50 gift voucher that will go to a random entry chosen by Random Generator. To qualify all you need to do is create a new project that ties in (in any way!) with our theme and post it, along with a link back to this challenge, and add a link here. This challenge will end at 11:59pm on Sunday June 2 EST. Please note that we have changed our policy - you may enter up to five creations in each challenge. Each must be its own post, and be a new creation/posting of course. For the full rules, read the "challenge rules" posted in the side-bar here on our blog. I want to take a minute to thank you for being such a great part of the community here! From amazing entries each week to supportive comments - this is such a great place to create and share. So thank you for being a part of it! There is a lot going on here behind the scenes here at Simon Says Stamp and Show, and I think you're going to like what you see! 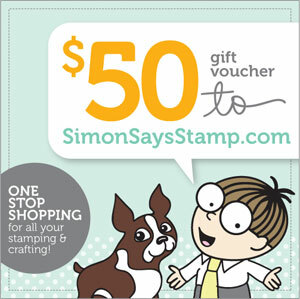 Before I go spilling secrets - let me take a minute and thank Simon Says Stamp for another chance to win a $50 voucher!! From added inspiration and tutorials, to a call for some new design team members this summer promises to be inspiring here at Simon Says Stamp and Show! Yes, I did say we're looking to add a few new creative faces to the team so if you are interested - now would be the time to let me know. See the blog side-bar for details if you'd like to enter! Hey everybody! It's just me, May Flaum here, and you know I just am so in love with the color Navy in my ink lately. In fact, you might say it is one of my favorite colors of ink! This is relevant because this week here at Simon Says Stamp & Show we're sharing projects with our favorite inks. I blame the Tim Holtz Chipped Sapphire distress paint for this recent navy obsession, because ever since I got that paint I have been really inspired by this color in general. To show you how I made the card above, and talk about my favorite navy colored inks as well as color combinations and more possibilities, I've created a video to share with you here today. 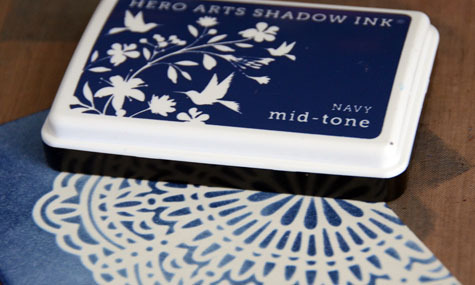 Products shown in video include Hero Arts Navy ink, She Art Stencil, and Basic Grey embellishment, Chipped Sapphire Distress Ink, heat tool, clear embossing powder, foam blending tool, and Hero Arts bird stamp. Now I leave it to you! Whether I've inspired you to run wild with the rich blue hues or you're feeling nautical, or of course if you want to share your own personal favorite ink be sure to enter this week's challenge! The prize (randomly drawn) is a $50 voucher to the Simon Says Stamp shop! It's full of inky goodness always of course. For the full challenge rules check out the information in the side bar, and to be entered just check out the post just below this for the inky challenge. We'll be back next week with an all new challenge of course - we're always up to something! While it’s true that it depends on what kind of project you’re crafting and what you’re trying to make, we all have our own favorite ink pads. This week the challenge is to create something using your favorite ink pad, your #1 most used pad, or otherwise to create with a favorite ink. Candy's favorite ink pad of all time is Tim Holtz' Gathered Twig Distress Ink and she has used it in detailing and distressing this vintage skewer card with a gift card pocket on the inside. My favorite ink pad was Vintage Photo Distress Ink until the introduction of Gathered Twigs. It has got to be the deepest most beautiful brown ever! It is perfect in vintage work; especially when distressing and aging the edges of paper. Coupled with Black Soot, you can instantly give paper the appearance of being old and worn. 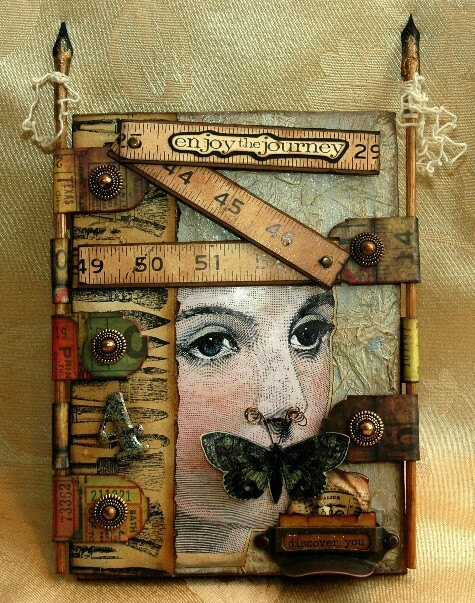 It seems like the gorgeous images on Tim's stamps; in this case, Classics #5 for the face, Artful Tools for the paint brushes and measuring tape, Papillon for the dimensional butterfly and Simple Sayings for the sentiment are even more enhanced when Gathered Twigs provides the rich warm tones surrounding them. Suzz has a love of color and picking one ink pad as a favorite was tough but she decided that today her favorite was Memento Sweet Plum. Asking me to pick a favorite ink pad is like asking me to pick a favorite child. I love all types of inks and colors as they allow so much flexibility. I selected the Tsukeniko Memento Sweet Plum for the challenge this week because I wanted to create a birthday card for my Mother-in-Law. I used the Stampendous Hollyhocks because she is a fantastic gardener and I know she will love the flowers. I added a tissue paper butterfly cut with the Memory Box Darla die. I added a few lovely Maya Road Trinket Pins to my ribbon for an additional detail. This proved to be such a difficult challenge for Anita, so she is leaving her choice of #1 Ink Pad up to you. You've read it correctly everyone... the choice is yours. I sure couldn't make up my mind between three inks. I love Tim's Distress Ink in Aged Mahogany because it's my favorite color and I am always drawn to reds. I also love Ranger's Jet Black Archival, and use it more than any other ink I own for it's permanent bold self. Then again, I love Tim's Rusty Hinge Distress Ink for it's fun, bold liveliness and versatility for making something look vintage and antiqued, plus it's my second favorite color. So, I've made three identical cards from Ranger's Giant #12 Manila Tags using only each of the three inks I love. I need help picking my favorite, so I am leaving the winning choice up to you! Anna-Karin has many favourite inks, but picked the most versatile for this project, Ranger Archival Ink Jet Black. Archival Ink Jet Black is such a versatile ink and is the pad that I reach for most often. I love that it is waterproof and can be stamped on many different surfaces. 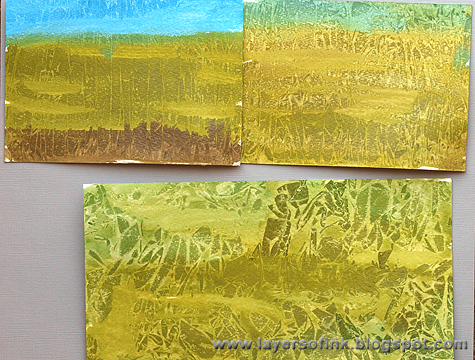 I also used three favourite Distress Inks: Gathered Twigs, Salty Ocean and Antique Linen. 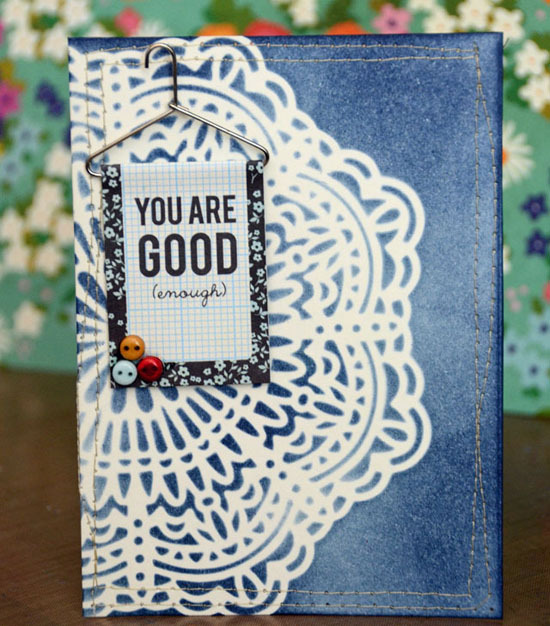 The card is a double high accordion card made with the Sizzix Accordion Flip die. 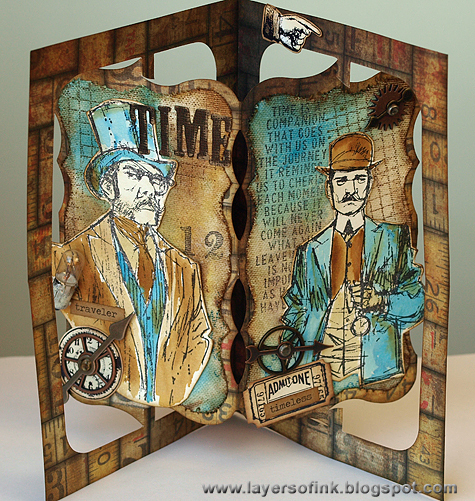 The gentlemen from Tim Holtz Time Travelers set were stamped with Archival Jet Black on watercolour paper and watercoloured with the three Distress Inks. The same inks were used to colour the canvas panels and I stamped on the canvas with both the black and the coloured inks. 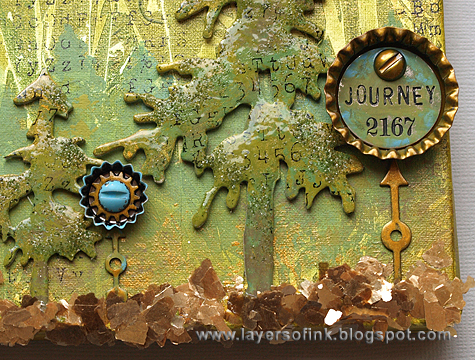 More Jet Black stamping, a ticket and some Idea-ology pieces finished the card. This week Dan decided to use his favorite ink pad to make a page for the art journal he made last week. Asking me what my favourite ink pad is is like asking me what my favourite food is - there's more than one answer and it changes regularly! Having said that, thinking back through my crafting life it came down to a choice of two - Gathered Twigs and Fired Brick Distress Ink Pads. 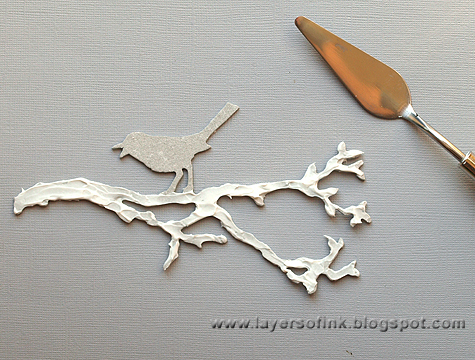 I use Gathered Twigs most of all, but as an accent and distressing colour. Fired Brick is the one that I actually use when I want a blast of rich colour in a composition so it won out here. I decided to challenge myself and use only that inkpad for the whole piece, apart from some black for stamping. 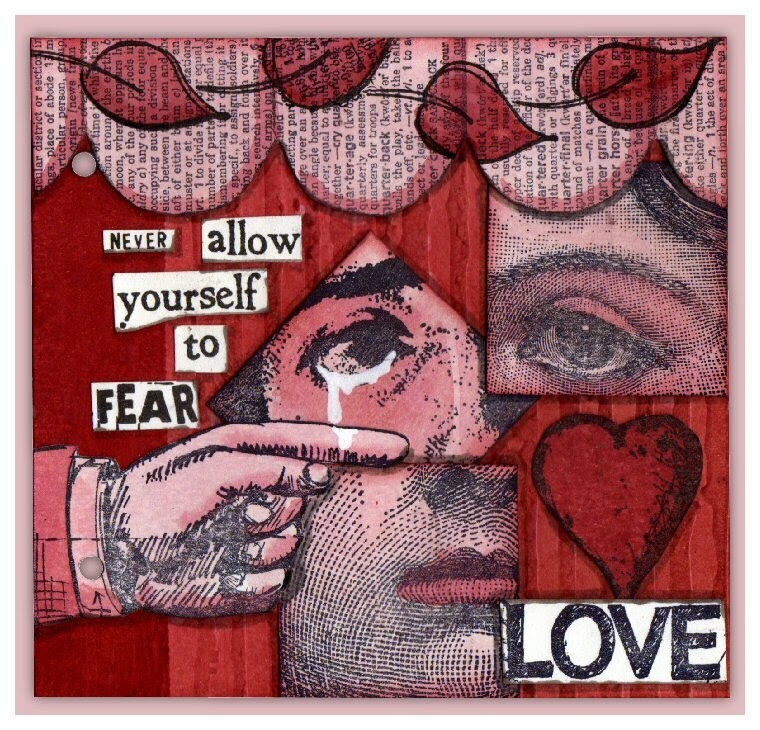 I used several stamp sets on this page, including Valentine Blueprint, Around the Edge, Mona's Sketchbook and Rockstar. 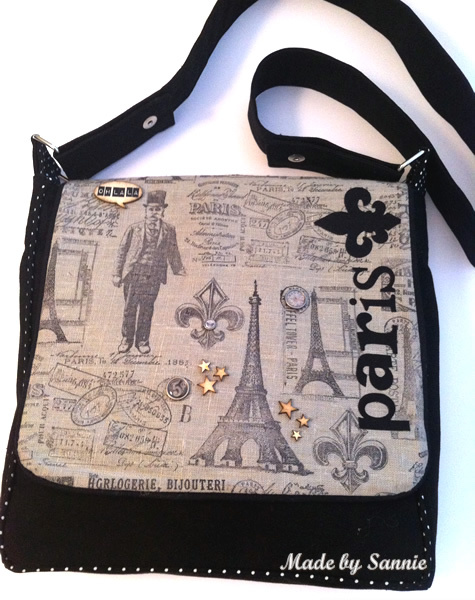 Tracy showcased her favourite ink pad, brushed corduroy Distress Ink in a steampunk dimensional canvas. This weeks challenge was an easy one for me as I absolutely love brushed corduroy Distress Ink; perfect in my opinion for ageing any project or item, it adds that subtle aged colour without over powering the focal image. 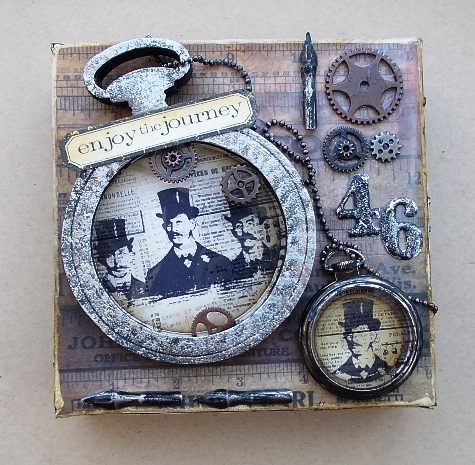 Tim Holtz Top Hats image takes center stage in my dimension pocket watch cut using the Pocket Watch Frame die. The Idea-ology Pocket Watch embellishment echoes the main large focal pocket watch to give further interest and dimension to my canvas. Ashli agrees with Anna-Karin this week - Jet Black Archival Ink is THE BEST! I know, I know... all the many ink pads that are out there to choose from and I am going with Black Archival? Yep! Just like Anna-Karin said, it is endlessly versatile. For this layout, I wanted to play with lots of fun colors and a whimsical design to document our last little moments before leaving Disney World. 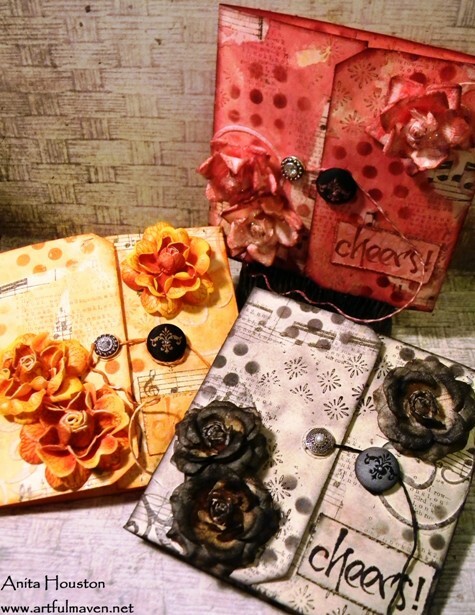 I used one of my all-time favorite stamps - Ranunculus by Stampendous, along with some Amy Tangerine Sketchbook Stamps to scatter my background images about. Since the Archival Ink that I used is waterproof, I was then able to paint with Watercolors in and around all of my stamped images to create my colorful background. Sandra Mouwen fell in love with Peacock Feathers Distress Ink the moment she saw it on Tim's announcement video last spring. My favorite ink pad is Peacock Feathers for sure. I love the color of it! And that it's Distress Ink makes it even better. I covered the whole tag with my #1 ink, then stamped the in the same color with the background stamp of the Paris Memoir set. I distressed the edges with Walnut Stain Distress Ink. 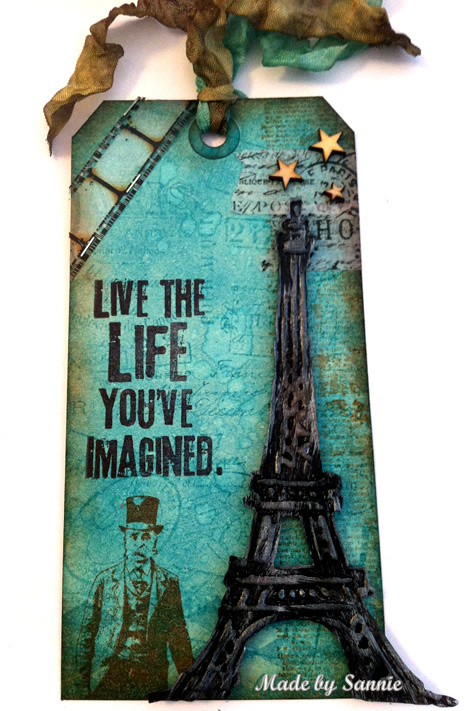 I love the Eiffel Tower Sizzix die and it love the matching Eiffel Tower Embossing folder too. It gives it so much texture! Trace's three Versamark Ink pads are never far from her reach. I decided my favorite ink is the one I use the most and couldn't craft without! I think I use Versamark Ink on almost every project. 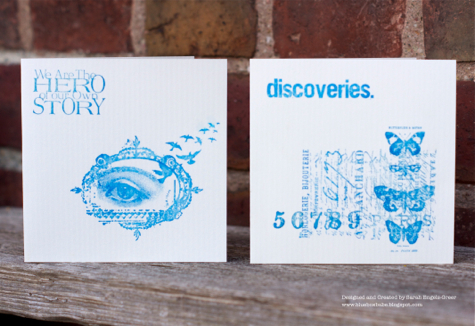 Versamark must stand for versatility, for you can use it as a watermark, embossing, and emboss resist just to name a few! My favorite way to use it is to stamp an image with it, and then emboss this image in white WOW embossing powder; like I did with this gorgeous Hero Arts Ruffled Flower stamp. I like to do this because then I can easily colour with my Tim Holtz Distress Markers, and it always looks like perfect colouring! Sarah always seems to be reaching for her Salty Ocean Distress Ink these days and it was still on her table from the last project, it was the perfect choice for this week. Somehow you just can't go wrong with white and blue! Many years ago I started out my crafting journey by making a few Christmas cards and today I still love to create cards. When I'm not up to my eyes in a complex project I really enjoy working on one layer cards. I still get a lot of pleasure from seeing the imprint of fresh ink on white paper. I was also wondering how I could play around with lots of my Tim stamps to create interesting designs. I love how the eye fits inside the frame and I never get tired of playing around with the Papillion set which I teamed with the smaller butterflies from Attic Treasures. I (May) will be sharing my pick and a tutorial later this week. Come back by on Wednesday when I'll be sharing a video as well as project featuring my current favorite inks here on the Stamp & Show blog for even more inspiration! Now it is your turn! We can't wait to see what you make, and what your favorite ink pads are! Also don't forget, for more project details and supply lists be sure to click on our design team's blog links. As always, Simon Says Stamp is giving away a $50 gift voucher that will go to a random entry chosen by Random Generator. To qualify all you need to do is create a new project that ties in (in any way!) with our theme and post it, along with a link back to this challenge, and add a link here. This challenge will end at 11:59pm on Sunday May 26th EST.